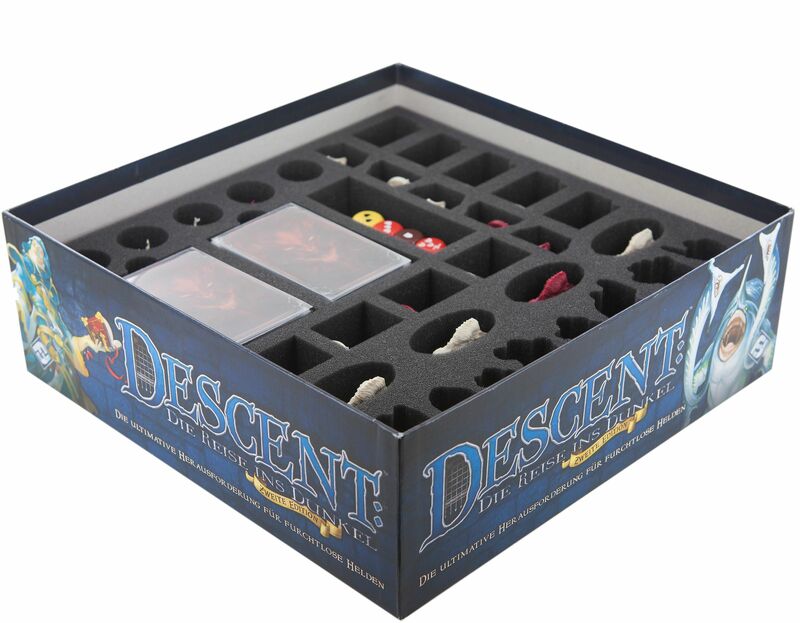 Your Descent miniatures in safety! 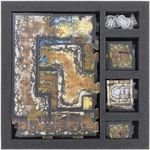 All miniatures at a glance. 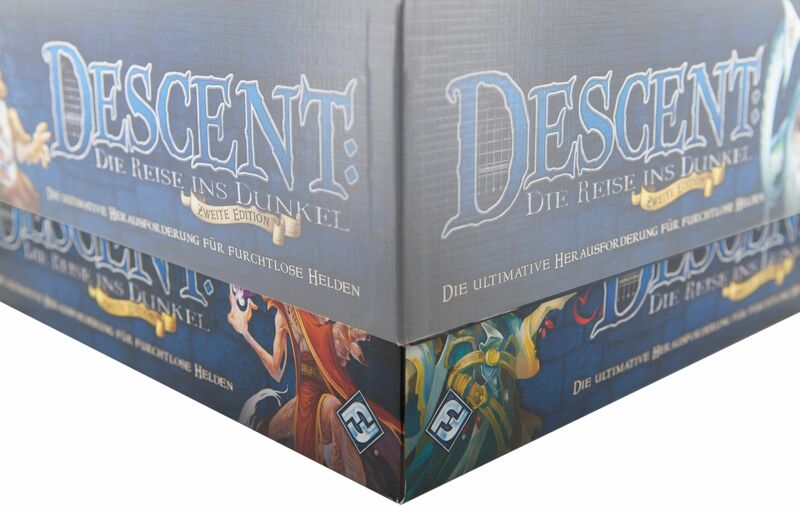 An epic fantasy board game that is unparalleled. And a wealth of detailed game material that requires clear and safe storage. 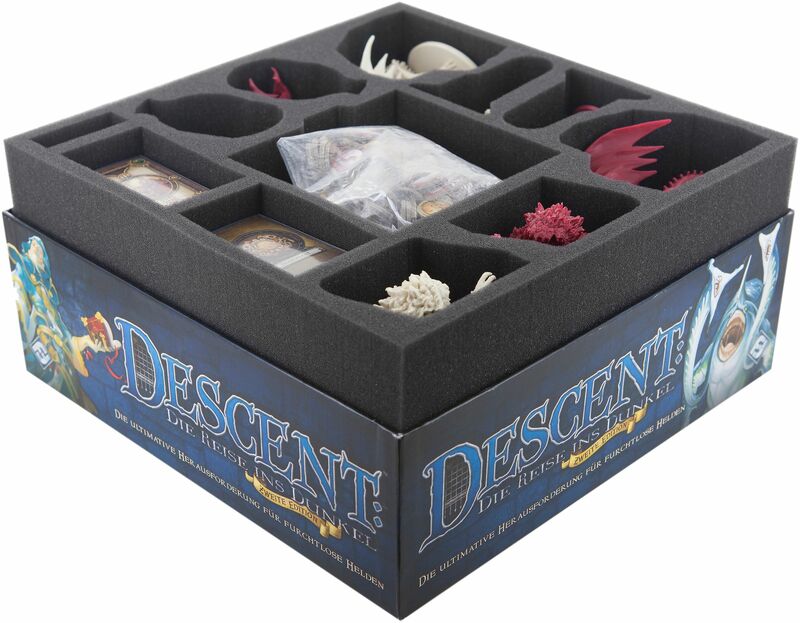 To prevent you from drowning in chaos with the game material, we have developed foam tray set for the original Descent: Journeys in the Dark Second Edition board game box. 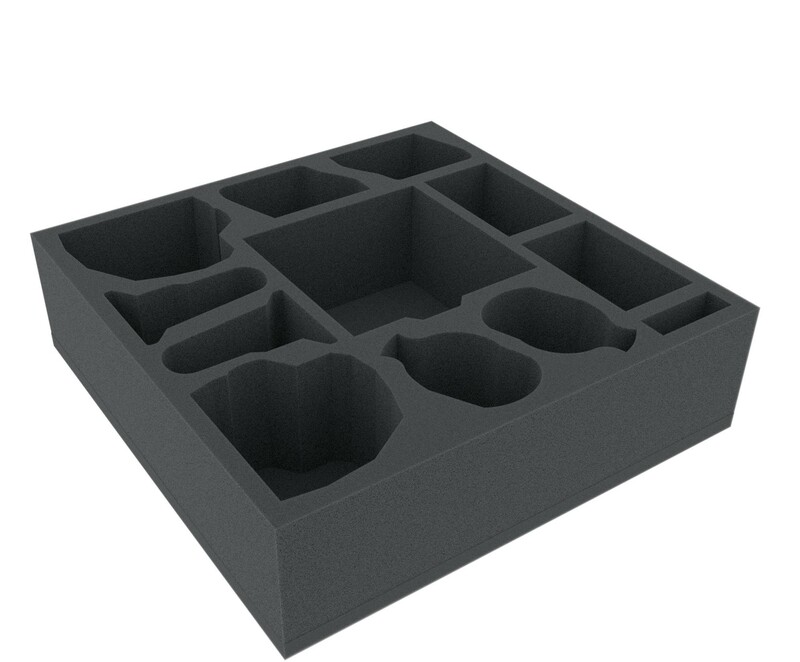 The set consists of three foam trays (dimensions: 285 mm x 285 mm and 40 mm, 70 mm and 30 mm height) and one foam topper. We do only use high-quality, chlorine- and acid-free foam as material. 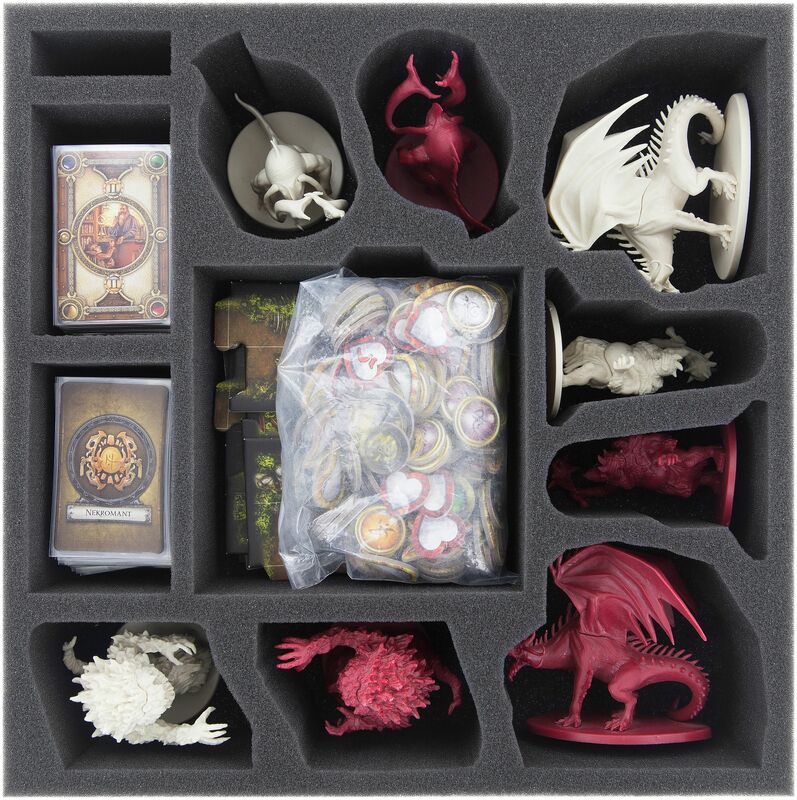 The mats are divided into individual compartments in which miniatures and game components can be sorted quickly and easily. The miniature adjusted cutting of the compartments prevents the more sensitive parts, such as weapons, claws or wings from bending. The separation of the figures by foam dividers provides optimal protection for painted figures and protects the colors from flaking off. On the first floor, the larger eight Monster Figures get their place. These can be placed either lying or standing in compartments that are exactly tailored to fit them. 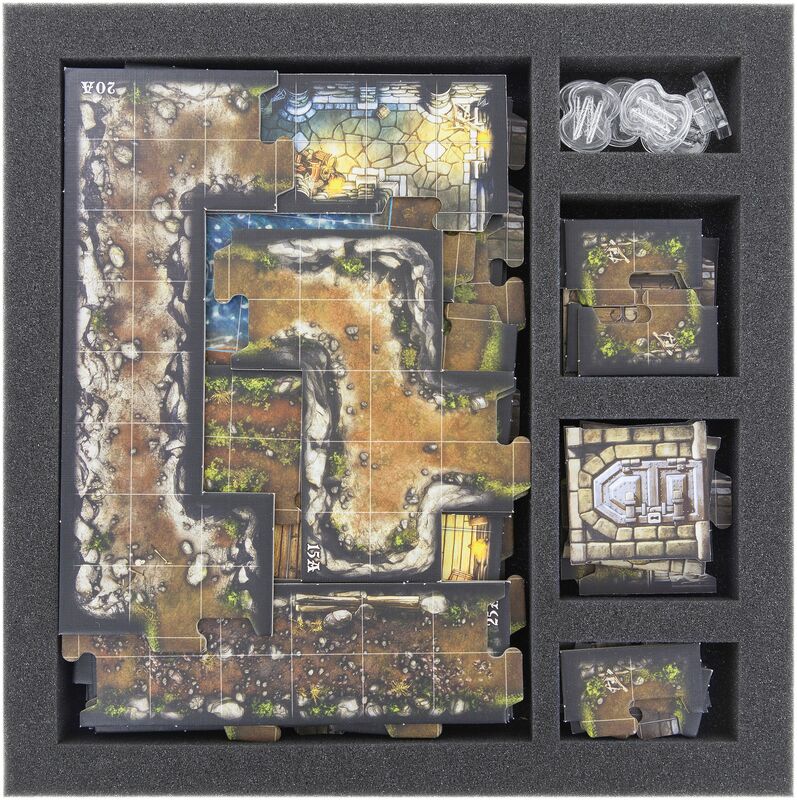 In the middle of the foam tray is a large compartment for map tiles and tokens. In two further compartments small sized (sleeved) cards, such as class or market cards, can be sorted. Floor number two hosts the smaller miniatures in 31 compartments. Your heroes line up here just as clearly as Zombies, Cave Spiders or Flesh Moulders. 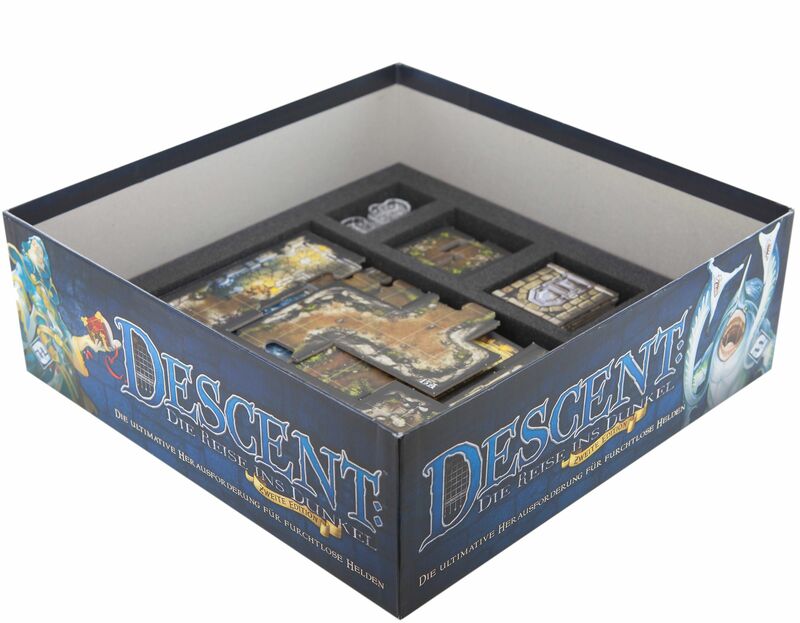 Additionally there are two compartments for the bridge-sized cards, like Overlord- and Lieutenant Cards. Another compartment for the Attack, Defense and Power Dices. 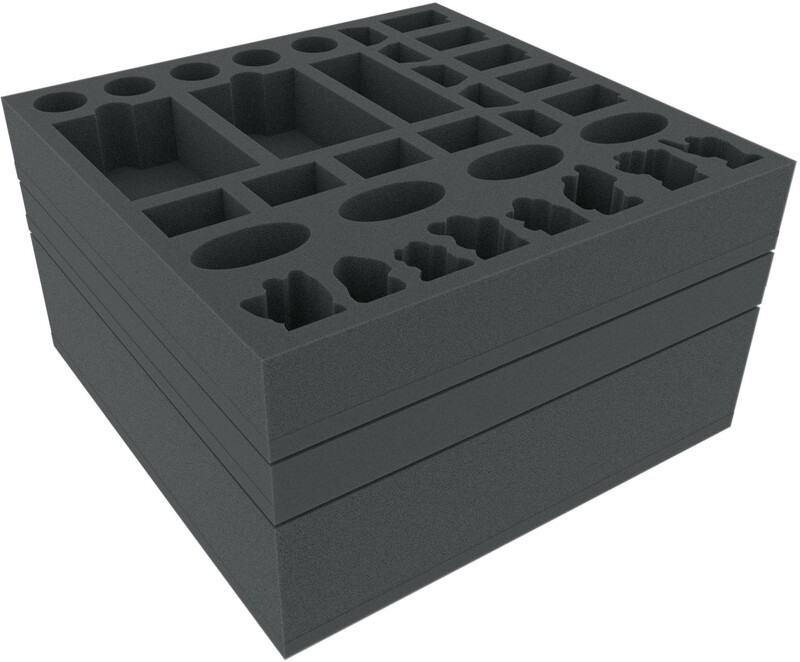 The bottom foam tray establishes order with tokens and tiles. 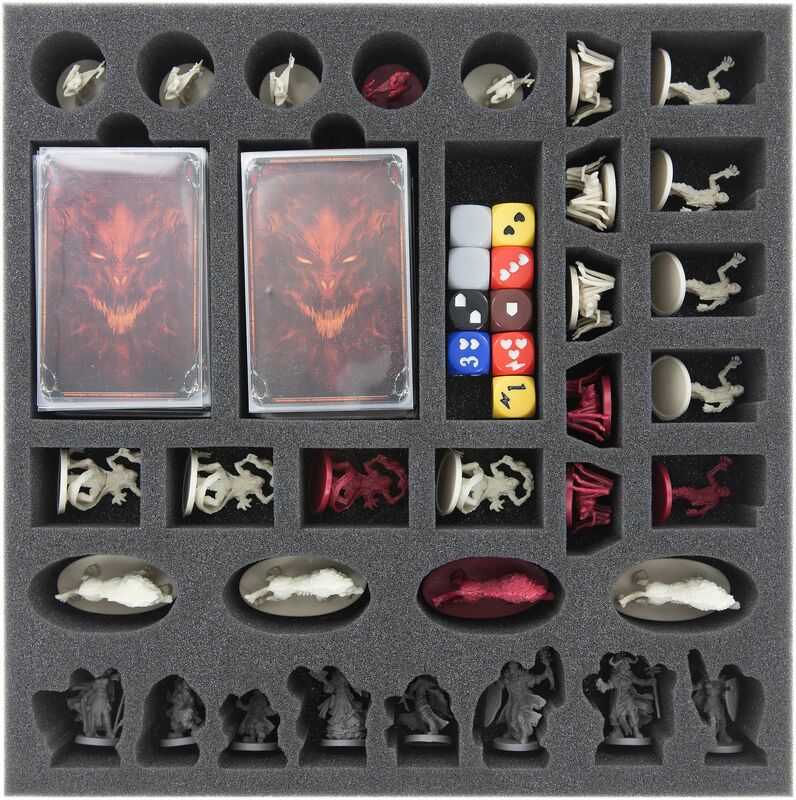 One large compartment for the large map tiles and three smaller ones for small ones, as well as the tokens. The fourth is used to store the plastic stands so they don't get lost. The Hero Sheets can also be safely stored here. Finally, on the foam cover lies the Rulebook and the Quest Guides. The set reaches an overall height of 150 mm. The lid of the original box protrudes accordingly.